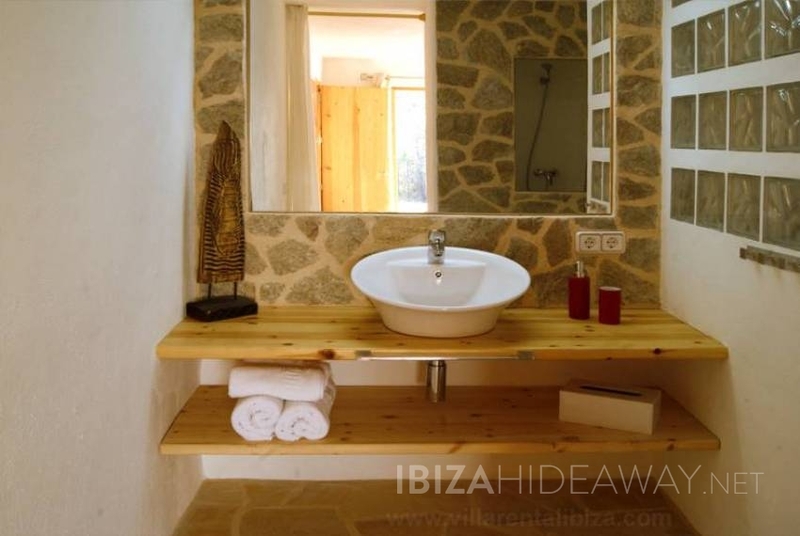 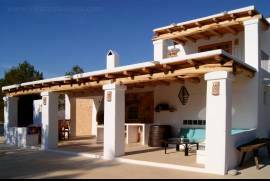 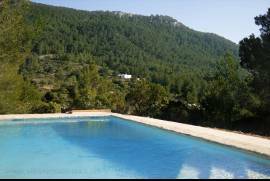 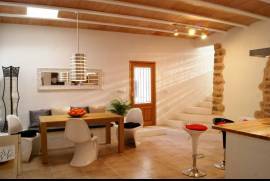 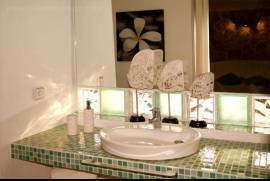 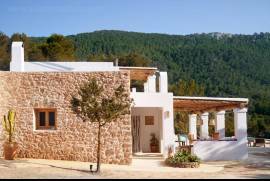 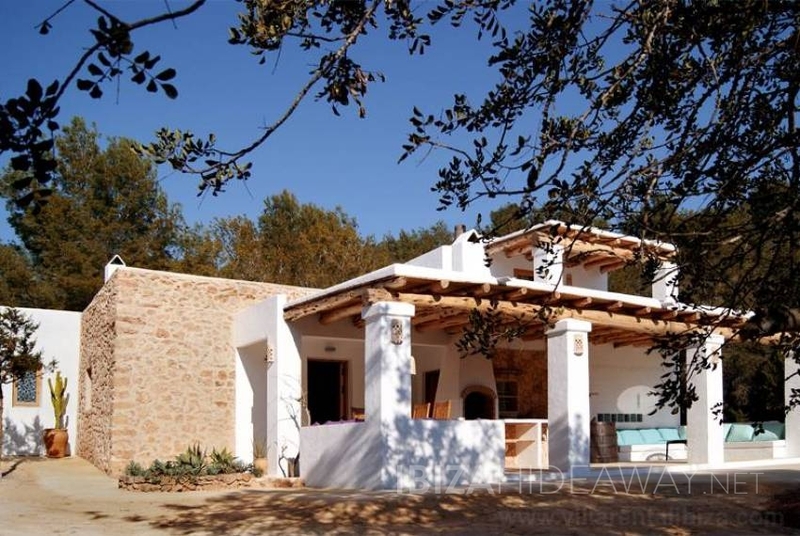 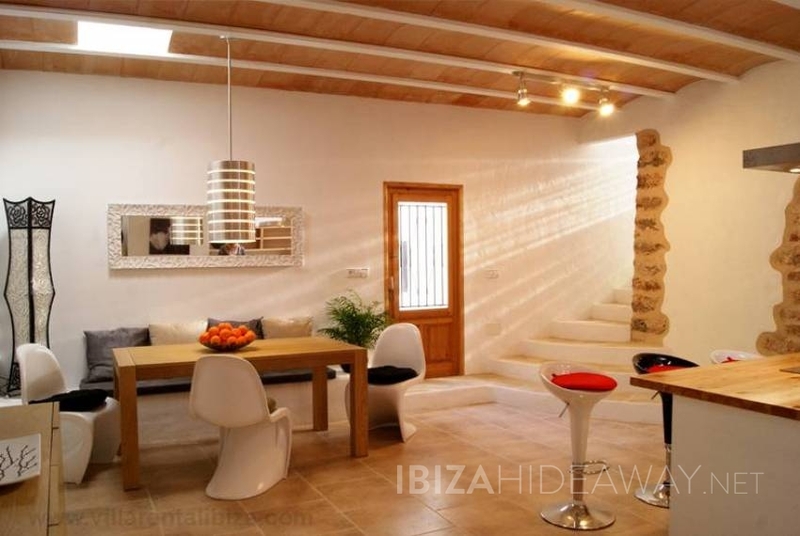 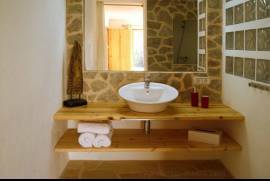 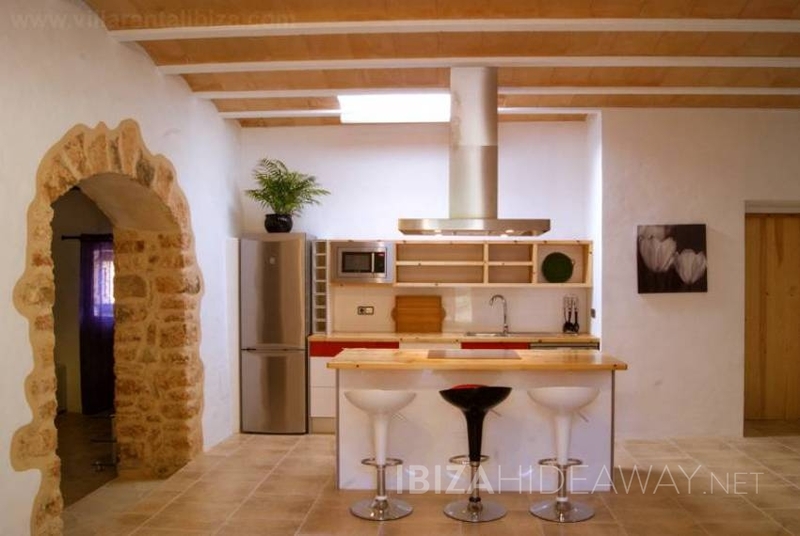 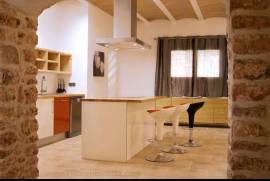 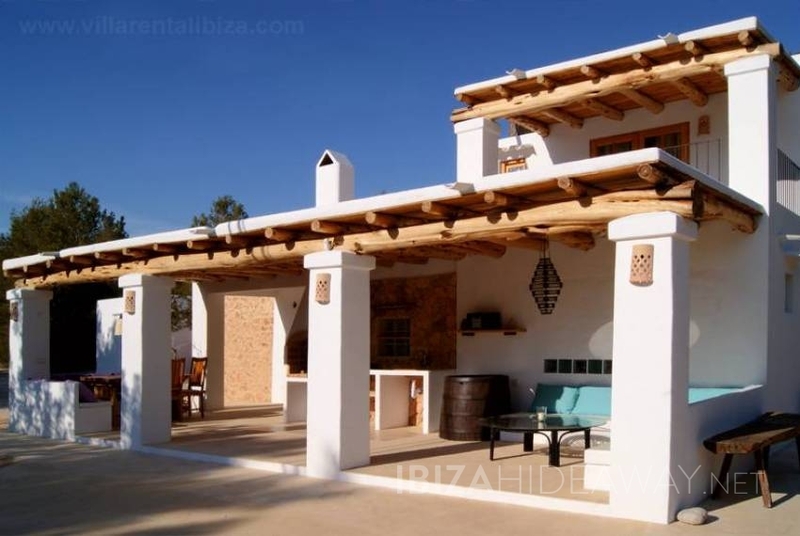 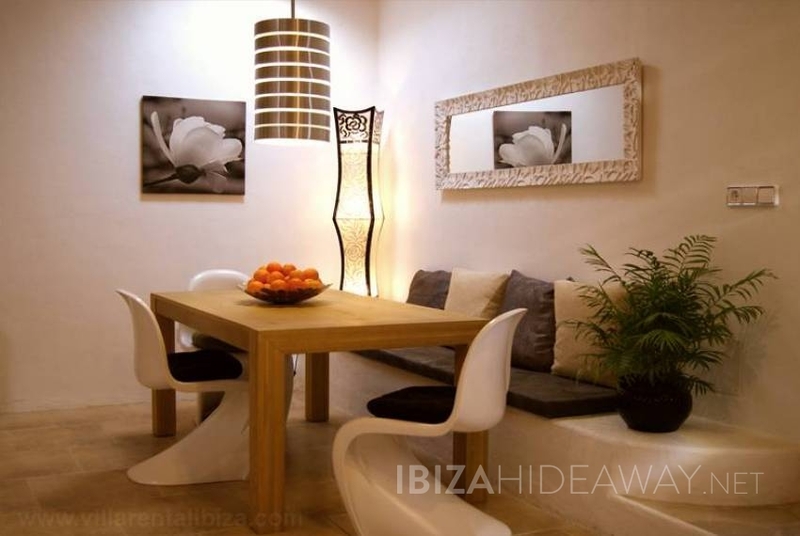 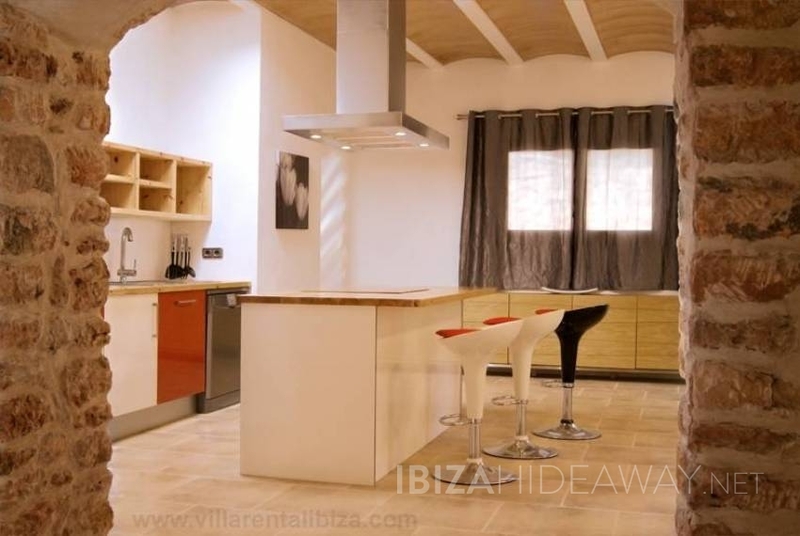 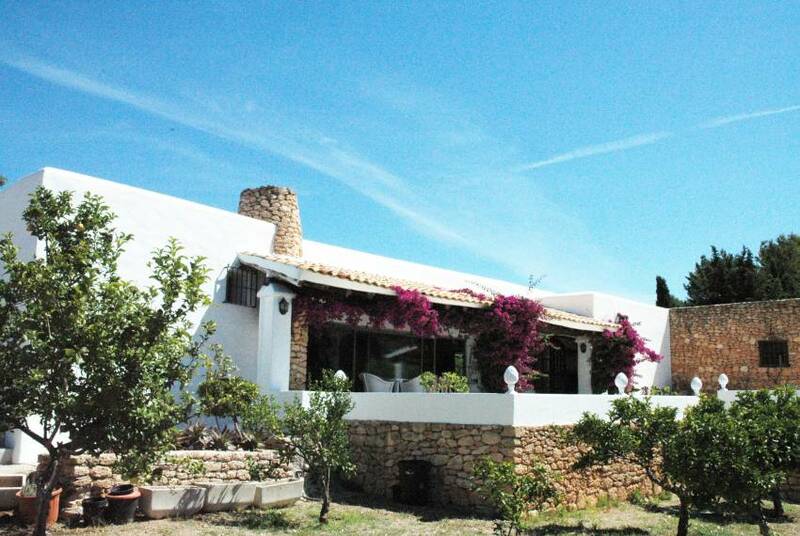 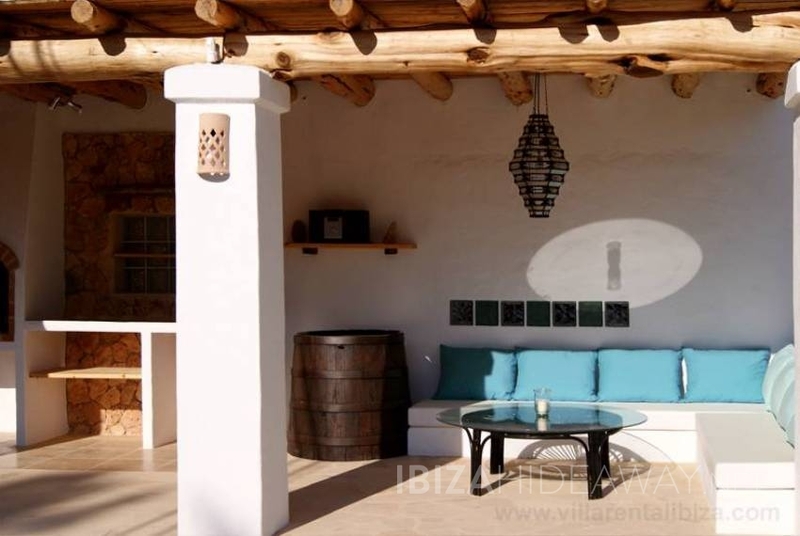 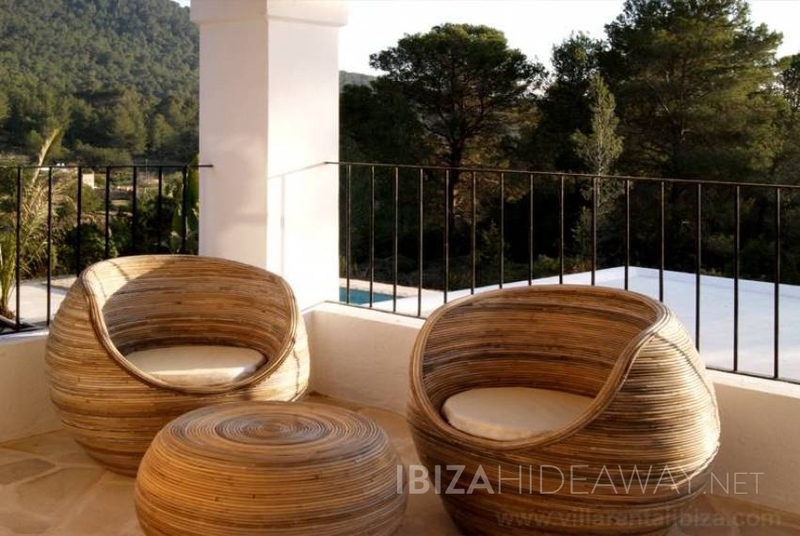 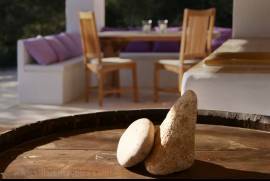 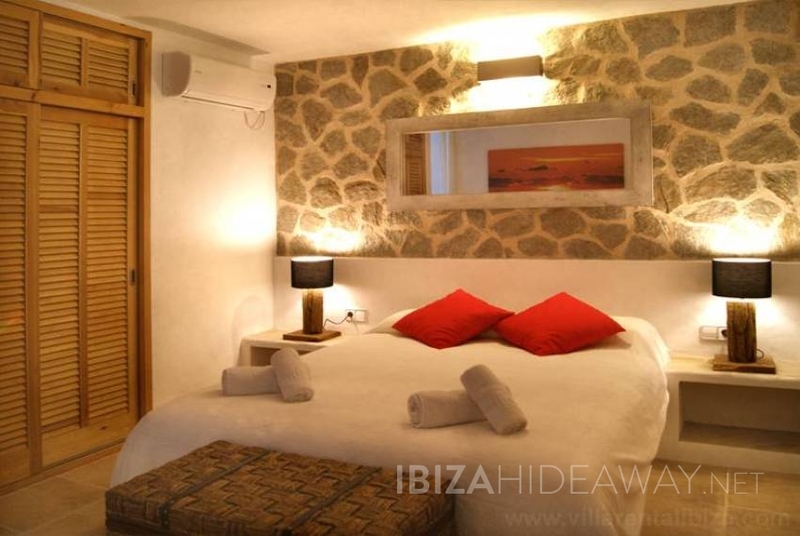 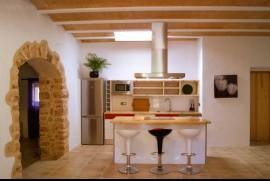 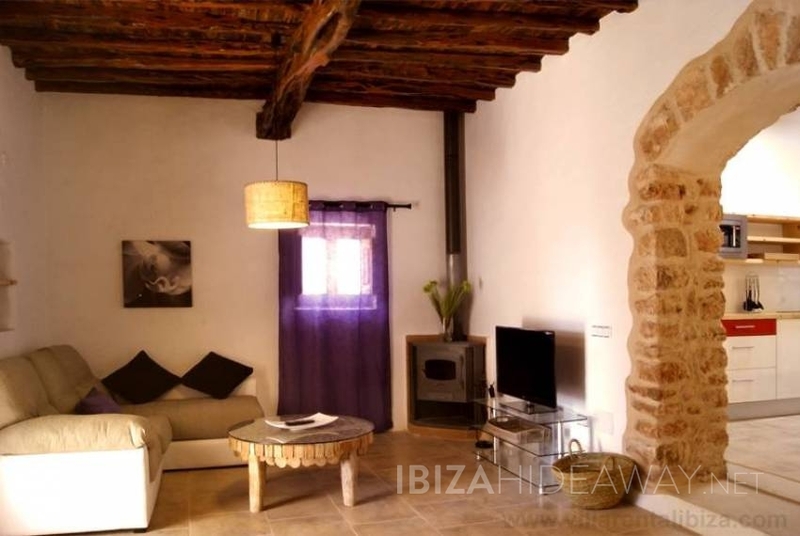 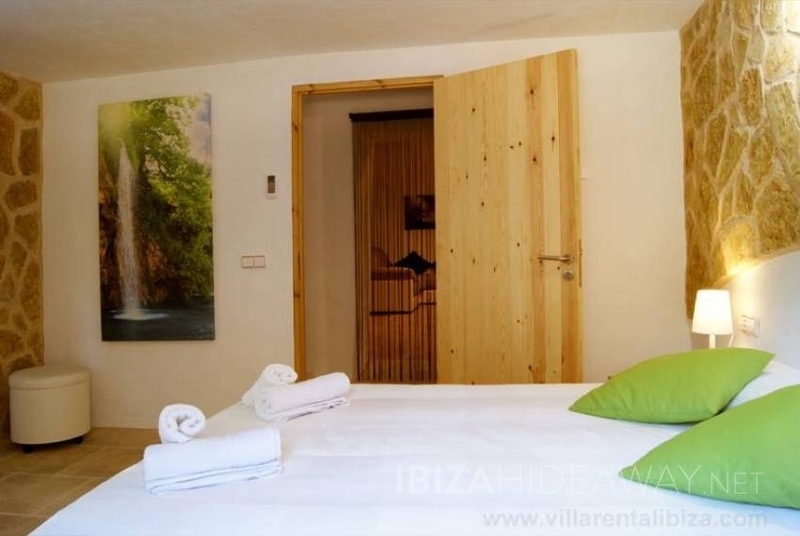 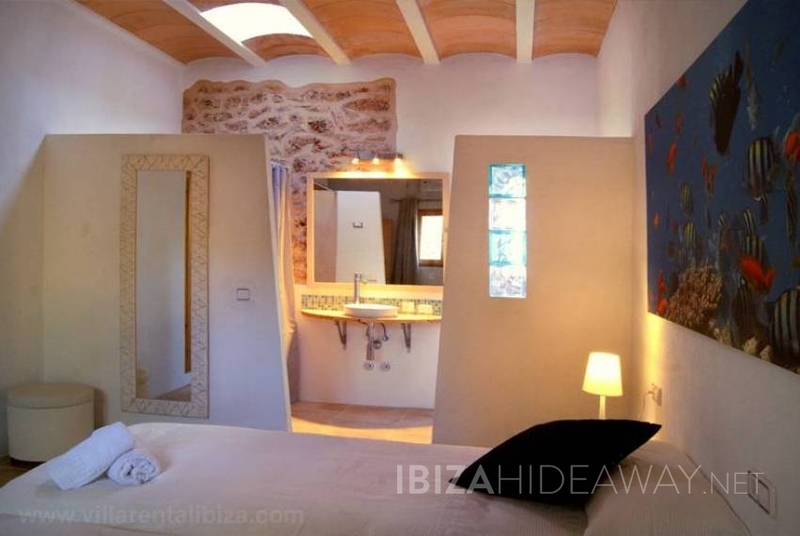 The villa is a recently renovated and redecorated country house, located in a beautiful smelling pine tree forest near Cala Vadella and Cala Moli beaches in the southwestern part of Ibiza. 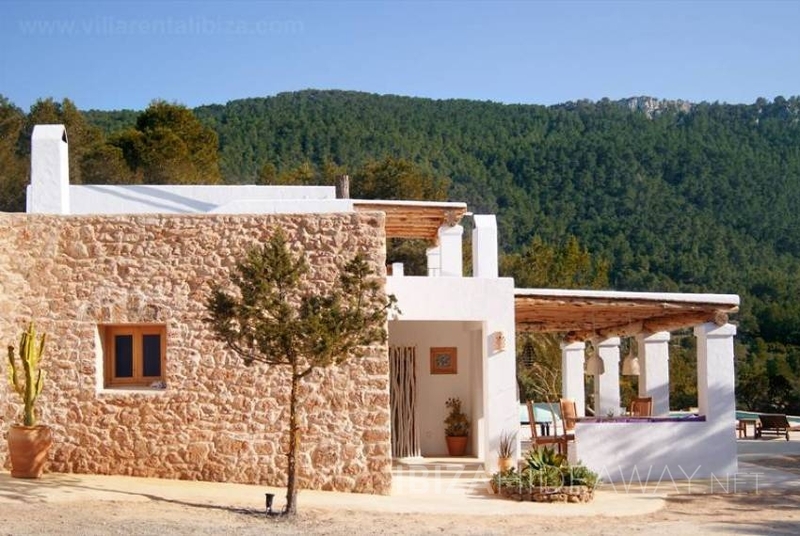 Cala Vadella is one of the nicest bays on the island with a choice of simple and sophisticated restaurants and watersports facilities. 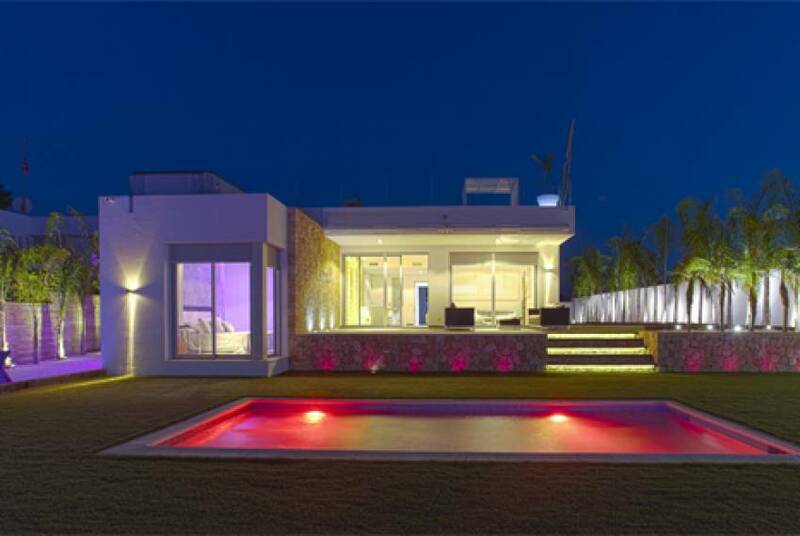 The spacious 350 m2 villa distributes into a living room, generous open plan kitchen and dining area and one en suite bedroom on the ground floor as well as two master suites on the first floor. 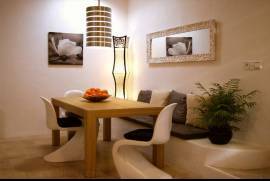 In front of the house there is a big bbq area with dining table and lounging sofas. 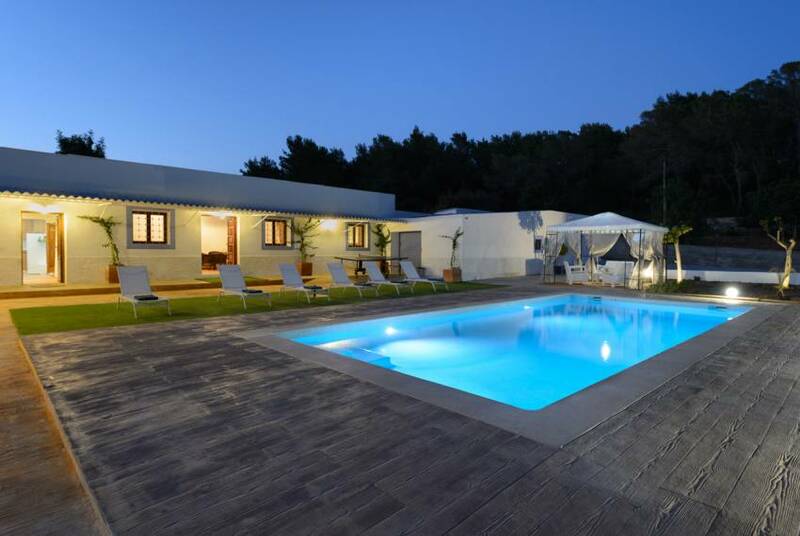 The 10 x 5 m big pool is surrounded by a lovely terrace and has a shallow entrance, which is ideal for younger children.